Pure, natural vinegar that started with berries picked from our fields and fermented naturally for six months. We are excited about our berries in a vinegar. A pro biotic-rich living food, blueberry vinegar is not only good for you as all natural fermented drinks are, but it is also full of the antioxidants and nutrients that make blueberries a "Super Food". 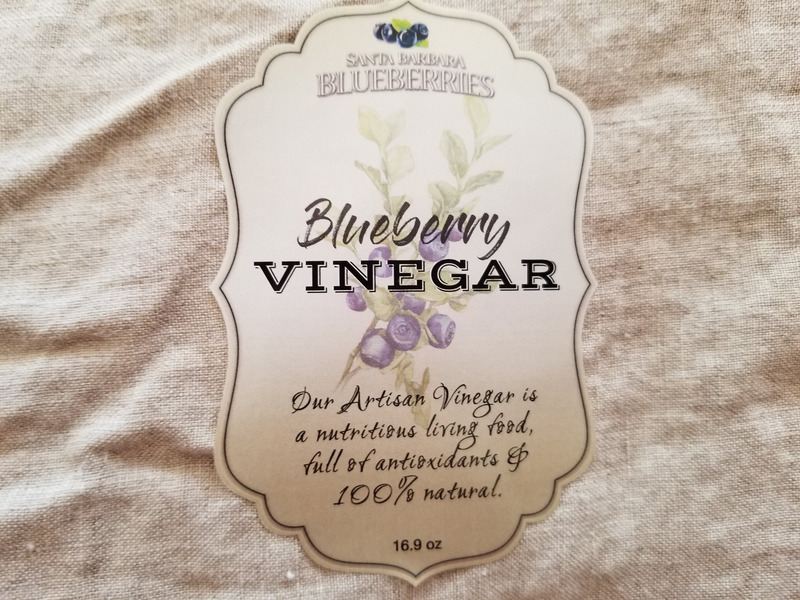 The berries in our Blueberry Vinegar are naturally raised at Santa Barbara Blueberries.